Do you work for Chrome? Learning about Chrome? We can help. Google Chrome es el navegador que mejor funciona en mi pinión. Es gratuito y se integra muy facilmente con todos los servicios de Google G Suite. Siendo ideal para manejar el paquete ofimático colaborativo de Google. Es un navegador qeu funciona bastante rápido, es muy intuitivo y ofrece muchas funciones como las de guardar las contraseñas al navegar y acceder a ellas en cualquier momento con un buscador. Presenta un servicio llamado Chrome Web Store de donde se puede encontrar extensiones, aplicaciones y temas. que nos van a permitir instalar variados pluggins que mejoran la experiencia de la navegación en Internet. Chrome posee un administrador integrado que nos ayuda a conocer las funciones en uso, observar la gestión de RAM y el comportamiento de los pluggins agregados. Posibilidad de navegar en modo oculto y no dejar cookies en nuestro equipo ni un largo historial. Tiene sus propias herramientas para combatir el malware y algunos virus. No es código abierto como algunos de sus rivales como Firefox. No permite cambiar el aspecto del navegador mediante plantillas. Google, aunque pueda parecer que todas sus aplicaciones son gratis, son una puerta de entrada para ellos a nuestro equipo para bombardearnos con publicidad. Consume mucha memoria principal de nuestro equipo. Hay muchos navegadores, pero pienso que chorme es de los mejores y es un must have para ciertas tareas con aplicaciones de Google. Utilizamos varios navegadores para investigar en internet, pero chrome sin duda es de nuetsros favoritos, ya que se integra a la perfección con las aplicaciones de G Suite para fomentar el trabajo colaborativo. "Chrome el mejor navegador. " Me gusta porque es un navegador de web gratuito, muy rápido y sencillo de utilizar, incluye noticias personalizadas, enlaces rápidos a los sitios web y descargas de sus usuarios. Además, la Búsqueda y el Traductor de Google están integrados. Permite la personalización de temas visuales, buscar instantáneamente desde el navegador; al momento de escribir el nombre de algún sitio en la barra de direcciones, el sitio cargue mientras todavía se está tecleando, sin necesidad de pulsar la tecla "entrar". Ofrece seguridad contra software maliciosos, entre otras. La velocidad de navegación, desde su ejecución hasta la carga de aplicaciones web es rápida. Se puede utilizar con varias pestañas al mismo tiempo, cuenta con la opción de navegación en modo Incógnito y traductor de idiomas que es de vital importancia hoy en día. Chrome tiene la gran ventaja de que con la creación de una cuenta en Google Chrome puedes sincronizar extensiones y marcadores en diferentes dispositivos, esto nos permite trabajar en diferentes lugares con ordenadores diferentes. Me disgusta que tiene un alto consumo de memoria RAM y si se cierra el navegador por accidente, Chrome cerrará todas las pestañas abiertas sin aviso y se pierde toda la navegación del usuario. Eliminar extensiones no deseadas, En la barra de direcciones deshabilita las que no quieras. Puedes desmarcar la caja para desactivarlas, o pulsar en el icono de la papelera para eliminarlas por completo.Ten en cuenta que, si borras una extensión, también se borrarán los datos asociados a ella. Si te limitas a deshabilitarlas, los datos se conservarán hasta que vuelvas a activarlas. Chrome facilita la actividad laboral ya que por ser un navegador sencillo las actividades en la oficina se realizan mas rápido, en la barra de marcadores que ofrece se puede ingresar de manera eficaz a las páginas web mas utilizadas agregadas previamente, también consume menos recursos de la computadora que mozilla firefox. "The browser par excellence of advertising professionals." Chrome, is a browser that gives us all that empowerment that exists on the web in a super simple way, talking about chrome is talking about efficiency and simplicity, it is knowing that we have a search engine with a powerful and high speed navigation. The tools and esthetics that chrome uses for positioning is very interesting, its criteria are strictly oriented to quality content and usability principle, which is the trend that has come to be noticed in recent years. Finally, and in order not to make myself more extensive, it is noticeable every day that chrome improves its language as a search engine adapted to us instead of the use of keywords. I know that privacy can be compromised because par excellence is very well combined the marketing and advertising method for it extracts information from users when they browse the different pages that make use of it. However google also offers tools that allow you to increase your privacy. Overall, what I like about chrome is more than what I dislike. I dare to tell readers that there is no better browser that this number of users in the world confirms, the results confirm it. I recommend them fully. Using all the tools that provide us to offer my service in a professional manner, increase my productivity. I always get positive results and my clients are happy. And what better publicity than the positive opinion of a client. "The fastest browser with the best compatibility"
Being a product of Google, your applications are connected to our GMAIL email so the passwords that we enter and mark to remember will be stored in our Google account so that in any device where we start session we will have all our passwords. The interface seems horrible, honestly in this aspect is very behind Mozilla Firefox which allows you to apply skins on its interface, Chrome does not allow any change of colors or default themes to choose from, I do not like the distribution of the options since it is very complicated to find certain configuration options. When you use Google Chrome I recommend that you visit your app store and install it almost mandatory uBlock or ADP as these extensions block the intrusive advertising of the Internet and improve the speed of navigation on the websites. I also recommend using Google Chrome since the browser is completely free. When I work in my company I always use Google Chrome since we use GMAIL accounts to synchronize the devices, in this way we have the same content in our personal computer, in the mobile phone and in the tablet of the company. In addition, the passwords are encrypted and protected by this, although we have access to the services of the company we do not know their passwords. The benefits in this case are very important in terms of security. I use Google Chrome as my everyday browser as it is fast, reliable and secure. The user interface and customizability of Chrome is unparalleled. I can switch up the templates for my chrome browser with ease and it has many useful add-ons including AdBlock, which blocks excessive pop-up ads on various websites. My browser history and passwords are synced within my gmail account and are accessible through Chrome apps on my laptop, phone and tablet. There can be glitches with the auto-fill feature when completing forms on websites. I would say this happens about 30% of the time in my experience, but it is not enough to warrant straying away from using Chrome as my everyday browser. I would recommend all internet users to switch to Chrome as it is fast, reliable and very secure. You can make your browsing experience customized with the templates offered, save time with saved passwords, and browse comfortably knowing you are secure from malicious websites. The saving of password and browsing history within Chrome and it being synced within your Gmail account is very useful. It allows me to not have to input the same username, password or websites every time I am accessing a page. It is a very efficient and fast browser. When I talk about chrome with other people who do not use it I emphasize the speed of navigation because it simply has power since its execution begins. Security is also one of its remarkable aspects because this search engine creates a shield against malicious software. The design is not complex to facilitate the user experience. The multiple tools that it has for our professional and daily life are wonderful contribute that we improve our productivity at a zero cost. I think the only disadvantage is the consumption ram that can generate in the heating equipment or because of the power of its search engine generates noise from the disk of the same. Another thing is not relevant though is that if we open many tabs we could no longer see the titles but only the icon should be, but to position the mouse pointer is already corrected. I recommend 100% in full. If you do not use it, what do you expect? Your experience will be rewarding. Gentlemen, there is no team that cares more about its users than Google does. The benefits are innumerable, as I said before all absolutely all the services offered from google calendar to google classroom are useful to increase our productivity. As an educator I am self-taught so this browser uses it daily for many hours, when the material is in another language it automatically gives me the option to translate it, without a doubt this is a great added value. "The fastest browser on the market"
The best thing about this browser is its speed of web processing, it is capable of loading any page faster than other browsers and also presents a much more effective integration of Google Adsense ads since the browser itself is developed by this company. It also has a password saving system that is very useful because they are associated with the Gmail email account so it is synchronized with all the devices where we use this email. It is possible to keep the browser on our computer, tablet and mobile phone using the same GMAIL email account. I believe that its interface is inferior to that of other browsers, especially Firefox since the latter allows to use skins that completely modify its appearance, in Chrome it can not be done by default. I use this browser in the work since we use sensitive information that can be subject of attacks and we always choose the applications that we use based not only on what it offers but also on the security that these applications have. In addition most sites are programmed to work with Google Chrome as the main browser and the web rendering is perfect. "The browser of world preference"
I really like Google Chrome for its ease of use, it has a very friendly interface that even adults, youth and children can learn to use it quickly, offers quick and safe searches, in addition to having extensions that are add-ons that help people do whatever task is required. I like the translation of chrome because with just right click and give to translate the page in an instant has already been translated completely. The ability to have multiple windows and incognito mode are excellent. The truth is that I do not have bad comments about Google Chrome, on the contrary I think it is a preferred browser to the world and that it is capable of finding the searches for every user that manages it. Chrome is the most complete browser to be able to see videos, it has java and it is updated. Do not wait any longer and use the best browser in the world very fast, safe and easy to use. Chrome is a browser that adapts to almost any web page from its built-in java to many other things that allow access to other pages, not as mozilla firefox that sometimes costs you to load web pages for being an almost incomplete browser.
" For my Chrome it is simply the power of the world at your fingertips." 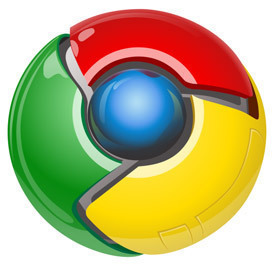 Google Chrome has managed to penetrate efficiently in several operating systems, either on computers or smartphones. The synchronization of extensions and bookmarks when creating an account is efficient, in this browser we can keep a tab always open, so as not to close it or move it by accident. I can not fail to mention the translator that the browser has, facilitating even more the sending of pages. If this is not available in our language, we can simply translate it within the same page. Chrome provide the best experience for the user. What often happens to me is that closing the browser accidentally closes all the tabs, there should be a way that this does not happen. The consumption of both RAM and CPU is quite high and starts high, if intalamos many extensionen s e generate failures slowing down the process. I recommend it, so much so that I tell you not to waste your time with other browsers. Fast safe and comprehensive. A simple and practical browser designed for user performance allows me to improve my knowledge, constantly updating my professional profile. If I have any questions quickly, Chrome takes me out of there.The printing is also very useful, it also gives us the option of saving the information as a capture in PDF format. I can download images on the pages I browse for free, without having to access other services. simple, it is the best. Allows you to search instantly from the browser. "I love it, I can do everything very quickly"
It is a web portal that is super effective and secure also has to put it personalized in every navigation you want to implement. Something that over time I have been liking and more because it does not have a high enough weight and I can have it on my mobile device simultaneously to the browser and connect to the same email. This means that I can use your tools constantly, without having to pay on servers or pages that offer the same services simultaneously, but at a high price that I would say are exceeded, so I like Chrome. In particular, the service has fulfilled all my expectations when it comes to implementing some navigation, something that over time has been satisfying me. The only thing I could complain about is the data complementing system that it represents on the web. It also tends to retract to the open sections at once and automatically opens the service, which I don't like, but thanks to the fact that there is a configuration that limits this section and something that I use constantly to avoid family problems. Its option of fast search has a wide simplicity at the time of realizing a search; since it gives you as suggestion different options and the resource of correction referring to the orthography is good, since it guarantees me a quite complete search. Also it has as arbitrariness the section of just elements and makes that you have an optimal planning and you are not wasting time at the time of incursionar in the network. In addition, that the option to save the data, seems to me quite complete, thing that I can say that it is a good recommended service. The task manager that the Chrome service has is quite complex, since I can paralyze those tools that have a saturation in terms of page loading and that I can add to it in a limited way. All this has been quite effective and more because I can implement in each tab that I see slowed down by navigation or my connection, and if I can deactivate some streamlines in a very good way this connection. Not only is this what I can see as pleasant, but it also strengthened my work schemes better. The lack of connection that it represents in pages that are fallen is of total bad aspect, since it remains in times all white and does not jump any warning or similar case, this according to my navigation of many pages to the day. So they should have a welcome with it and be able to work in a quality way. I would say that they would improve this in order to be able to detail with much better point of view their navigation, since I have liked everything at the moment, but with this they have fallen, and I cannot have an objective reason referring to the dispositions that they have. It has a quite important aspect in terms of the hosting of each page, which makes the browser can extend their loads and is not limited in each section we manage to open. This scheme is usually somewhat satisfactory and makes it have a better stay. Sometimes it tends to have extremely fast loads at certain times of the day, since the moment it is in update or improvement makes the service down. For that reason I would advise you to have like this browser to be a predetermined one in objective form and that you do not give you a fear and you want to choose another browser. The browser works respectively with each extension that you manage to install and in addition these have ample space to place a target, ie you have the choice fully available in every aspect with which I work. I can also have a reference point the moment I have to navigate. I like the privacy it has in each data you enter and more because in each segment I have the ability to save the data I enter and I can even skip this option. Case that has seemed complex to me and that I can have an opening in each section. Your scheme of having incognito tabs should have more privacy and resources that make this service a complete one; since the other has the simplicity of having quite effective tools and I do not run so much risk. Bad aspect has that when downloading in this mode of navigation it is totally equal and that it does not have indifference to other systems, something that seems to me quite incomplete and I would like that they improve that schematization with which it has this modality. His indifference with other browsers is quite long, since he has a section where I can see the tools I'm using and the size with which I'm surfing in general. Also, that I have a system that enhances safety. Its particularity in being able to navigate in different places also allows you to be more satisfied with the same, which over time has made me be with this browser by default and not have to be dealing with several at the same time. That's why I can recommend it to users who ask me about it. "everything you need in one browser"
The applications that Chrome has open an optimal section for you to let your pages that you usually enter constantly and more than anything because it speeds up in much better instance the search that you usually do when entering the browser. This is only based on opening a new tab and enjoy them, which seems to me something quite complete and I can do no matter how many pages I have to open. In this same I can even configure it and even delete those that do not seem to me and contribute in better cause to the possibilities of navigating. It is completely insufficient the quality with which it displaces some sessions that I have to navigate, so much to my complaint that I have even had to send a message to the support to see if they accommodate it and this fault is that when trying to open Yahoo, does not open it because it automatically reproduces an error message through the Google system. Not only in this service is that it manages to fall by Chrome, but in others you can not even open the page, so generally makes me touch other browsers on purpose and thus be able to build a normal work quite tedious. Your printing system is quite good, which has helped me to be completely satisfied and shrink pages that I don't have to be using others, but I just give you a right button and I automatically get the option to print. Also, by clicking this option I can also save this as a capture in PDF format, which is also quite useful and can be applied consistently and without limit. That's why I could recommend your service to everyone, I just want you to fix your cons. This navigation service has a simplicity at the moment of making a connection; since it has a section in which it configures for a time the navigations and each time it comes improving its service in evident form and it has a welcome with the users who use it. It tends to be constantly in an innovative center to the aspect of navigation; it motivated to that they have as purpose the facility with which they can use it and the users can apply it of cognitive form and that it is hooked and uses it certain amount of times. Customer service is quite detestable, since it does not respond in optimal time and that their tools sometimes tend to collapse, by the number of servers that exist and users who are used to using it. This also happens when you work with heavy files at times, since it sticks and tends to do more work time when you use it. Which is not tasteful and also does not show its charisma to adapt to certain devices, which makes me have to move to certain points and be able to adapt to it. Use it!! is the best browser of the moment. I was helped by the fact that I could upload files to different servers at a fairly optimal speed and that their complements manage to characterize the process they come doing at home every day, because it is something they work on a daily basis. It also has the possibility of downloading images that you navigate in it for free and without having to log in to some service or something similar, something that seems to me quite agile when using a decent work format and that does not load me slowly throughout the entire navigation segment. The most suitable thing about this browser service, is that I can have a facility in terms of control of the tabs I manage to open, which I consider a fairly reasonable power and makes a difference to other web browsers, which only lets you have possession of one and ignore the others. I can also take the same tabs and drag them to the ones I already have open, taking into account the respect of parameters, so you can combine them in an essential way. You can also place this as an option in terms of the configuration with which you manage to perform in this same and has more power when the tabs are from the same server. In my point of view regarding my stay with the navigator, it seems to me incomplete all the characteristics with which it is systematized, because it is not possible that it has so high facility to navigate and with lacks to other navigators with little serenity as for its modality to navigate. So they should take time and remedy all those spaces that need details and become quite unique in this section, as we are in a world where every time new things come out on the web and more when we refer to applications to navigate. It is very difficult to make a difference against other browsers that have the same peculiarity and more in the scheme. Enjoy and take advantage of the extensions. Through this service I have been able to extend my limitations that I was dealing with in other browsers and more by being able to navigate to the private, so that I can not save any data, but only the server with which it is maintained. With this section, I can also safeguard my integrity in terms of different pages that need to have an identification or registration in it. So I am quite complete and I am pleased to say that I recommend it in all splendor to any user who wants to navigate without sharing their data. Especially of this navigation system I like very much the part as they have redesigned the parameters and resources, which to be used have certain rules or even fundamentally, only bearing in mind that system is adapting, because the more support I have the device, much better will grab the rendering. In my case is something very particular, because it threads perfectly to my RAM memory and whenever there is an update or I do some customization, the service does not look bad, but rather makes it enhance its scheme and even better aspect remains the same. Sometimes the appearance of the main page loads many blank spaces, which makes it opaque and does not have an intuition to be handled, since he managed to think that it has even fallen or that something happens with it. As for the shortcuts that served in previous have been disappearing, I still do not understand the reason, since it was one of the most used complements and more when you could paste a page, which solved with just pressing the F5 key, but I can hardly use it, because it does not recognize it. Compare it with other products and you'll see yourself this is the best. Thanks to the recent updates of the browser, I have managed to complement myself in a much better way the server that I have to set up through a web page, since it has helped me in terms of the time with which I load each session. Which I have supplemented with the resources I buy to make my computer work better, as I usually work with data that I have to upload on the same server that exceed 3 GB, which used to take a long time with other browsers, with this I see great difference. The search engine that it has is something quite objective, since at the moment of introducing a word automatically the recognizer of the system throws you the most certain information of the same one and that if a referent information is not found, it gives you another option that can interest you. Its arbitrariness of completing each process is something very useful, since in each one that it managed to execute at the moment of entering, it covers me in total efficiency everything that I need and does not waste my time for anything. It's very wrong to lose a Gmail account, motivated to not meet you necessarily in order to recover it and more if you have a recovery system that you've already lost access. Which has made me detestable that even one allows you to comment and ask you for more data than they do not claim to be correct. Everything has as a characteristic the browser that is in process of elevation, although they say that it is one of the best and the one that has not much left to convert, but if they manage to fix several resources I would say that I would accept to be. Beautiful interface, functionality, speed, and much more. I have used the cloud storage system that has several Google tools, including the Drive, since you upload files that you can share with any amount of user safely. You can program these same files so that he can share them or just that he has the right to see them and nothing else. All this makes it serve as full support and has no possible risk in total with the files you upload and the best thing is that you can pay for an expansion of space. "Your current internet browser is slow? This is for you." Since the time I've been using the Chrome service, I can say that I've been quite happy, more than anything because it has always been of an innovative style and has always been there offering its service to all users who want to be on the limit without any limit. In addition, it gives the ease that since it opens tab in the browser, you can connect directly to your Gmail session, so it stimulates a wide ability to manage a browser on a computer and more because you can configure how it opens or if you want to close it every time you close the browser. It's bad to see how the service has gradually overflowed, since in each update there are as positive sides as the cons, so sometimes it has made me hesitate and want to change browser without repenting later. Its high competitiveness has made it change different tools that have really affected me and more than anything by the design with which it is used and is something that I can not change by the policies with which I work in companies, more than anything by not exceeding files or charges that can add to the speed of loading. It has style, speed and confidentiality. Sincerely thanks to the service I have been able to have another alternative at the time of working, more than everything because lately I have been receiving work through the web and needed a stable connection and that the same offers security to be in it. In addition, which has tools that could do maintenance to the same browser, which makes a difference to others that you have to be constantly deleting and manually, however with this is something more direct and has no limitation to be doing the maintenance. It is something that I can recommend, since, when doing it, it allows you a wide connection, without so much surcharge or slowing down. "Always up with everything you need." I find it quite interesting that when you want to download any complement on a website, first analyzes a custom configuration that counts the same and then announces if it is a device that could contain malicious files or if you do not download it normally. It has the serenity to be constantly requiring updating, so that you can enjoy all the tools that come implementing, this according to my point of view, which has been quite content to the time to perform with another browser. This service does not have a complete extension that enhances the functions with which it handles the browsing history, which may lose a link that may possibly serve you or even be running the risk of pete the same by the large accumulation of data that are not automatically erased. Sometimes it does not comply correctly with the privacy policies that it offers in its main portal, more than all this happens because of the extensive update with which the service is linked, something that particularly changes each complement or accessory that can be used. Just try it. It'll change the way you look web sites and interact with them. With this great browser I have been able to have a more stable connection when it comes to my mobile phone, which has made me quite comfortable when it comes to having to require information and is also configured automatically. This one counts on tools that are of enough use and assimilate to those that appear for the computer, only that more simplified the charge and that in addition it manages to thread perfectly as for the sizes of the mobiles with which I have worked them, reason why I recommend in all its splendor. t is very complete when it comes to security and the one that stands out the most is that of protection against phishing, something that is incorporated in each installation of the same and that will not look so risky, but nevertheless one must ensure with the installation of security extensions. Because its mode protects to a certain extent and sometimes escapes some malware that you could block automatically with antivirus. In addition, when it comes to being in a tab free of threats, there are no ads or browser and antivirus, if not sometimes that says it is safe in every way. If one as an active user gets lost a lot, can even lose the same address and thing that is quite complicated to find it by the amount found on the web and with the risk of wasting a lot of time when looking for it. It can be solved clearly, but with a little knowledge and that at the moment of not knowing was very complicated for me. It's the fastest browser to surf the internet without any risk. It makes you feel safe and protected. With Chrome I have been able to have a knowledge quite advanced to tools that will come in the future and that can be quite complex at the time of employing their work. Also, it has help sessions that have helped me to optimize my browser to have a quite optimal speed. When doing a search, it allows me to know in wide connection the intensity of search that have been done per minute and that if I install some search engine extension I can know which is the most searched for or even the most qualified by users who have entered that website. "the browser that best suits your needs"
chrome has many good things to mention, but one of the most important, in my opinion, is that within its features of functionality this has a translator included, this makes browsing easier, if you are on a page that does not have your native language, with chrome you can translate that page without leaving this one. It is known that chrome bases its business on advertising, and for this they have to collect information from its millions of users, so at some point you will find a lot of advertising on certain websites you visit. Use it, you won't regret it. one of the most beneficial things that has this browser, are its extensions, and the use of them, chrome has many extensions of all kinds, just take a brief walk through its app store, take a look and very surely find what you need, as we all know these extensions are very useful and make using chrome is more profitable. this browser is one of the oldest, it has been more than ten years since its launch, and currently still enjoys some good features that it had since its birth, there is no doubt about the popularity of chrome, so it is one of the most used, as it enjoys a very good popularity among users. this browser does not have the option to save our data on our own server, by default they are stored on third party servers, and with this some users do not feel very comfortable. chrome can be used as a gateway to the start in the formation of the web world, apart from being easy and simple to use, it is also worth mentioning that this browser is available in 47 languages, which makes it reach more users worldwide, this is one of the things for which it is the most popular. "Best Browser and Experience for Web "
I use Google Chrome every day. Back when there was a competition within browsers (of which had more users), I was a Chrome user. It's blazing fast, allows me to sync my data across platforms, and it's really easy to use. I love the simple interface. A lot of the other browsers try to add too much "junk" to their design and that slows the tool down greatly. I am an Apple product user (iMac, Apple Watch, iPhone XS, Macbook) and lot the accessibility of Chrome within these devices. At first upgrade, I do not like the minimalistic design of tabs, bookmarks, etc. However, after using Chrome for a few days after the update, I actually prefer the design. On another note, one glitch I've found is that when I fill out a form, my data isn't saved locally in a dropdown; I manually have to type in every form field which is very annoying. Chrome allows us to collaborate within our team. We can log into multiple Gmail accounts at one time to keep track of tasks and emails. We are also able to log out and log in to our Google Account across platforms which is VERY handy when traveling to another location and need our data. "a browser like no other"
of the good thing that has chrome, and that is worth noting or mentioning, is being able to search directly from its address bar, and this is complemented by the autocompletion of URL, these two things working together saves us quite a lot of time when surfing the web. problems when customizing the browser, unlike other browsers, the options that has chrome are quite limited, something that displeases users who enjoy customizing their browsers. I no longer worry about forgetting a password to enter or log in to a page, forum or blog, because thanks to the management system and saved chrome passwords, when I return the next day to log back in, the browser reminds me the password automatically, no doubt this is beneficial for people who handle many passwords and do not have time to memorize them all. "A blazing fast and the safest web browser"
Chrome is one of the best web browsers available on the internet. It is a light and fast browser which makes browsing very easy. Chrome provides wide varieties of extensions and themes so anyone can customize the browser according to their needs. Extensions are vital for any kind of browsers and there are thousands of extensions available on Chrome if one gets bored with the theme they can customize it. When it comes to security Chrome is a great option, the browser includes a blocker and authentication protocol that prevents the attackers from running unauthorized codes which can prevent personal information from being misused. Chrome works great on Windows, which is blazing fast compared to other web browsers and the design is quite simple nothing is complex. One of the biggest disadvantages of Chrome is its resource usage, the usage of RAM and CPU is quite high and starts stuttering when you open a lot of tabs. Another problem is when you install a lot of extensions it causes the same problem and laptop or PC gets heated and slows down the process and the computer starts making noise. Some of the websites are not accessible from this browser may be the browser or the websites itself are not well optimized. I highly recommend this web browser because it is fast and secure. You can browse multiple websites. It integrates with a lot of apps which makes my task easy. I usually browse websites on the internet, shopping, using social media websites and doing business online. The thing which I like is I can do all these things at the same time and it is very efficient. It saves my time a lot. "Go Beyond Just Browsing With Chrome"
Google Chrome has a simple design that makes it easy to navigate the web. It is one of the best internet browsers because it is easy to use and secure, and it can sync your preferences and bookmarks across multiple devices. Chromes loaded sites in one and a half seconds, which is fast compared to most other browsers. It has a built-in Flash player and PDF reader, so you can view any article or video in the browser itself. It automatically protects you from security issues like phishing and dangerous sites. Chrome automatically updates every six weeks so you always have the latest security features and fixes. This browser consumes lots of memory. It is slow compared to other browsers. When I navigate from one page to another, Chrome took almost five seconds to switch. I highly recommend everyone to use Google Chrome browser. It is a simple web browser that’s easy to navigate. It is versatile and compatible with a variety of devices and operating systems. If you need an internet browser for your Mac or Windows computer as well as any Android and Apple mobile devices then Google Chrome is the best choice for you. I personally use Google Chrome at my office because it has a clean, intuitive and well-organized layout. The one click translation helps me to translate the documents from a variety of languages. Its advanced technology like site isolation, sandboxing, and predictive phishing protection keeps me and my data safe from security threats. "Excellent web browser under google creation therefore main search engine"
Google chrome is for me the best browser among all browsers currently available. It is safe, fast and most importantly free. It allows you to customize the browser, you can add extensions, due to the design so friendly allows you to sort your favorites at your convenience, it is an excellent search engine and I repeat extremely fast. It does not present any type of problem to synchronize with any wep site, it is compatible with all operating systems regardless of the IOS regardless of the same version with Windows regardless of its version. It is synchronized with all my computers and even my mobile phone is that everything that I add or change is synchronized and updated auntomatically in my account. I have my main email account there since it is created by google too. It is updated automatically and without any problem. This is my MAIN browser if I discuss any. I recommend it 100% since it is fast, secure, free and compatible with any operating system. The main benefit is that with this browser I can unify all my main applications, communication such as my gmail account, google drive, hangouts etc and automatically sicroniza with each of your computers and mobile phones regardless of the operating system which is extremely important especially for the work because you know that you will always have the updated information and the updated history as well. For my particular work style,I can't think of anything I dislike about Chrome. It is better than any other browser I have used. I recommend that you use Chrome, it is an excellent tool, easy to use, fast, reliable and friendly browser. For any information you want to find, you can get, anything and a great speed. It is a stable browser to have in all the workstations that need, it works without any modification in most standard websites. It offers versatility at the time of continuing a document in process, even so changing of disposition. I can quickly switch between the profiles without having to log out and restart it, which speeds up my workflow. "Good free browser made by Google!" It is a free web browser very fast, simple and intuitive to make a customized configuration and adapted to our needs as a user. The synchronization in the cloud gives us the possibility of having access to our Bookmarks (commonly called Favorites) from any device (PC, tablet or smart phone), allowing us to always have quick access to pages of our interest. Something wonderful about this explorer are the "Extensions", are features added to the explorer that take the customization to another level. There are paid and free extensions. The explorer contains a module for developers where you can execute deep changes on the code as such, an alternative solution for web development experts. Last but not least, it is the ability of the browser to offer a multiplatform environment for different Google tools such as gmail, google drive, maps, among others. The biggest drawback I have observed in this web browser is in the consumption of resources, specifically in RAM. The consumption is very high compared to others, in low-performance devices are exposed to a drastic reduction of RAM available for other tasks. Highly recommended to maintain a fast navigation without problems. Synchronization of bookmarks on any device with this web browser. Highly recommended. The easiest benefit is fast navigation and no hassle. The greatest benefits are obtained from the multiplatform environment for the different Google tools, since it gives you quick access to each tool according to the needs we need to cover, without the need for extra applications. This browser I like a lot for its speed when looking for any information, plus one of the things that I like is that in a single navigation I can open several bars and search in each bar something different if I want, chrome is a great application that adapts to many operating systems. I really do not dislike anything about this browser is my favorite and I use it daily. I recommend that you use google chrome for any information you want to find, I assure you that there you can get anything and a great speed. there are many electronic pages that do not open in any other browser and google chrome gives me access to those pages that are difficult to open in another. Its speed and efficiency helps me in my daily tasks. "Easily switch between multiple online profiles"
I have fallen even more in love with Google Chrome than I already was. I manage a number of personal businesses and as a result I have 4 different Gmail accounts. Google Chrome allows me to switch between profiles using different browser windows which are logged into my different accounts and each account keeps track of its own cookies. So, for example, I can switch between my personal profile and one of my business profiles and open up the Facebook account associated with each without having to log out and back in again. Same with any other business or personal website. This is incredibly valuable to me as our multiple businesses all use different accounts on the same social media platforms (Facebook, Twitter, Instagram, etc) and it is a pain to keep logging out and in again to check them all. With Chrome I simply keep 4 browser windows open, each logged into a different account, and can switch back and forth with ease, allowing me to accomplish more tasks at a time. I also LOVE that it saves all my information right in my account, so I can pick up where I left off even if I switch devices throughout the day (I frequently go from desktop to laptop to Chromebook to phone). Chrome is indispensable to my workflow! I can't think of anything I dislike about Chrome. It is miles better than any other browser I have used, for my particular work style. If you have multiple businesses, or even if you just want to keep your business information separate from your private information, create separate Google accounts and switch between them as you work. You can keep all your information isolated to its own account but go back and forth between them easily. I am able to go back to whatever work I was doing even if I switch devices. I can switch back and forth between profiles quickly without having to log out and log back in again, exponentially streamlining my workflow. Even my bookmarks, extensions and cookies are saved in each profile so I can easily pick up where I left off if something happens and I need to move to another device. I like the simplicity of the browsing experience. Being able to switch back and forth between web pages with little effort is a plus. Also, each web page runs independent of each other, so if one page crashes, just close that tab and continue to use the other ones. If you’re looking for security, this browser is by far the best. There is an “incognito” feature that allows you to open the browser and use it with no information being stored. Don’t add to many extensions as Google Chrome isn’t intended for heavy use. Too many extensions will slow down the browser. Being able to utilize extensions that are specific to my business needs eliminates the need for additional programs or software. "Best internet browser in the market "
For me the best side of Chrome is speed and functionality. It starts very quickly and works very smooth.And what I like most is the extension gallery of Chrome. Most used extensions in the market are compatible with Chrome and Chrome automatically integrates with the extensions of new installed app. Chrome extensions gives me more functionality, freedom in browsing and of course high security. Chrome works very smooth on low memory computers and does not use much resources of the computer. You can open user account in Chrome and sync it with other devices you own. It Doesn't matter where ever you are all your saved settings, passwords, and bookmarks will appear on other devices too. Chrome is also leader across mobile platforms too.It is most used browser on android devices. In mobile version of Chrome when I select view desktop version of the website sometimes it keeps showing mobile version. Not always this issue happening, but sometimes whenever I need desktop version this issue happens and annoys me. Hope developer will fix it soon. Chrome is the best choice with the easy user interface for browsing in the internet. It easily integrates with most apps and gives you maximum comfort. At work while doing my daily job I often use Chrome. I check my mail, make searches in the internet, reading articles, and reading news and websites about economy in order to learn what is happening in the world. Web developer tools is most amazing thing which they made. When I was beginner in web development I thought that other popular webbrowser is the best for front-end work. Few moth after I found my first job in that industry I appreciated dev tools. Chrome is always one step before others big players. I never had problem to find some features in dev tools. To be honest this is very hard to find something wrong in Chrome. If you want to work in web development industry you need to up to date with that web browser. This is my basic web browser using in front-end job. I can inspect HTML element quickly and see rapidly all CSS rules regarding that code snippet. "An unreasonable resource hog that still manages to be the best we browser available at the moment." Google chrome is a neccesary evil, an essential piece of software for every PC. Fully featured, fully customizable, fast, compatible with dozens of addons, extensions, themes, fully integrated into the google ecosystem and instantly syncing all of your bookmarks, theme, addon, browse history (if so you desired) as soon as you login with your account. Highly compatible with mostly every website online and most of the streaming/flash/animation/object/popup features. Most recent websites are optimized for Google Chrome due to its vast availability. easy to update, easy and intuitive to use, deep to customize, available on smartphones, tablets & computers, and seamless to go between all those. One of the biggest resource hogs in essential/popular software packages. The amount of processes, ram, and cpu it consumes for basic and mundane web browsing tasks is unreasonable. The deeply customizable approach has allowed for security vulnerabilities in the past. integration with flash is not as intuitive as it should. Please consider the excessive resource use, consider other products for older hardware. Google Chrome has been my go to web browser for over a decade, and after learning to accept its downsides, it doesn't seem like I will be using anything else .